Mary's Wedding features Fraser Elsdon as Charlie, right, and Kate Ross as Mary. What does it say about Toronto that Mary’s Wedding is only now getting its professional premiere here? 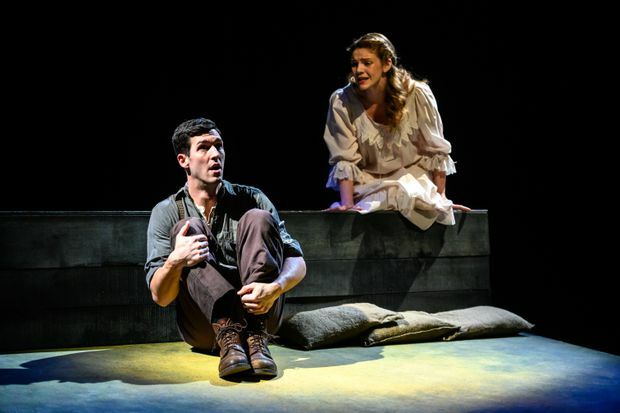 That the big city is too snooty for a First World War romance set in and from the Canadian Prairies, a show that unabashedly seeks to make a broad audience weep? The play takes place in a dream that Mary, a young immigrant to Canada from a slightly snooty English family, has the night before she is to be wed in 1920. The action slips back and forth from the courtship between Mary and a gee-shucks all-Canadian farm-boy named Charlie, and Charlie’s subsequent service when the Great War comes. There are scenes where the lovers take shelter from Prairie thunderstorms in barns and ride horses, bodies pressed against each together; and there are scenes of chaotic cavalry charges and horrific trench warfare, where bodies pile up. Class and colonialism inform both the loving and the fighting in play, but only in a gentle manner. Massicotte is entirely uninterested in lecturing his audience. Because everything takes place in her dream, Mary plays herself in the parts set at home in Canada – and, in the scenes abroad, she also imagines herself fighting alongside Charlie as Gordon Muriel Flowerdew, a real English-born Canadian army officer who was awarded the Victoria Cross after he died in the victorious Battle of Moreuil Wood in 1918. This neat dramaturgical idea is central to why Massicotte’s play has been produced so much. Class and colonialism inform both the loving and the fighting in play, but only in a gentle manner. Here’s a First World War show with a lead role that allows a female actor to do more than play the cliché of the fiancée waiting for letters from the front – and without having to fully gender swap and play a male character. Indeed, the production is a family affair: Mary Young Leckie, the force behind the musical Prom Queen and Ross’s mother, is the producer (with Derrick Chua). Oh-oh. I was wary – but, on the whole, the independent production overcomes its incestuous origins to capture most of the winning qualities of Massicotte’s play. Director Kent Staines (who has previously directed the play at the Globe Theatre in Regina) has come up with some magical bits of staging – the sudden appearance of props in hands, for instance – that really make you feel like you’re watching a dream. Ross and Elsdon, meanwhile, make you swoon, then cry, as they should. There is something a little superficial about their performances though. Ross’s manner and English accent suggests a television adaptation of a Jane Austen novel; she doesn’t take risks and her presence doesn’t penetrate that deeply into the audience. Elsdon’s sweet and gentle performance as Charlie is also a little too sanitized for my tastes – and a sanitized portrait of a soldier risks seeming to sanitize the war. The cinematic underscoring by composer Creighton Doane is completely unnecessary – and nearly oversentimentalizes the show. In my reading, Massicotte’s script is smarter than that. It sweeps you away with poetry – both the playwright’s, and the Tennyson poems that his characters read and love (The Charge of the Light Brigade; The Lady of Shalott). But then it makes you consider the thin line between poetry and propaganda – and how romance stories can warp romance in real life. 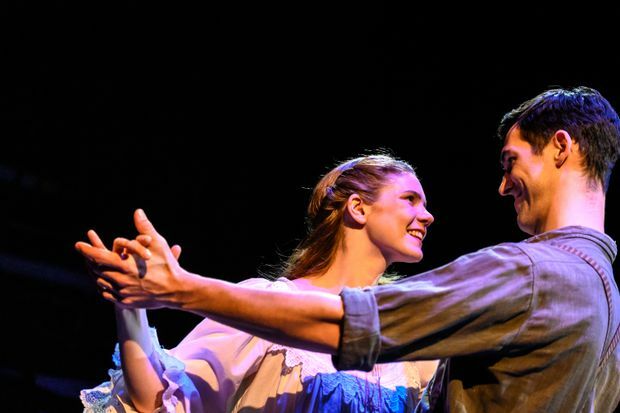 It’s a crafty piece of writing, easy to underestimate (as Toronto theatre apparently has for 17 years), and also a lovely show for Valentine’s Day.